This captures the central question in The Boy, William Brent Bell’s new horror movie. Is it a doll, or is it a boy? I love good possessed-doll horror movies. And bad ones, for that matter. To write a horror movie review without spoilers is almost to write no review at all. The challenge leaves me, an amateur film critic, with little more to say than, “I liked this movie,” or “I didn’t care for this movie.” But I do want to say a little bit about The Boy. Poltergeist made an impression on me partly because I was 14 and new to the genre, but more because it was just a great film. Looking back on it now, after 33 years and countless more horror movies, I can appreciate the restraint and effective use of fright tactics in Poltergeist. The 2015 Poltergeist remake, on the other hand, did nothing but bore me. I couldn’t help but set it against the original in my mind. I rolled my eyes when the family moved into the house and the kid almost immediately discovered a whole box filled with clown dolls. I didn’t finish the movie. The Poltergeist remake failed me because I wasn’t spooked by a pile of clown dolls in a box. I was spooked by one clown illuminated in the night at the convergence of built-up of tension and weather, as in the original Poltergeist. That’s pacing. And nuance. And Steven Spielberg. Probably many of us Gen-X’ers derived our fear of clowns from that movie. I know for me, it was that clown that hooked me on the shiver of dread I’ve sought in spooky horror movies ever since. I don’t know that The Boy would inspire any such lasting impression on those who see it as their first spooky horror film, but it’s a solid example of nicely done metaphysical terror. Where spooky horror is concerned, “less is more” works for me. Granted, that box of clowns might be terribly scary to a child who sees the movie, but as an adult who saw the original decades ago and has henceforth proceeded in life with an instilled dread of clowns, that box of clowns was ridiculous. For a more literal comparison, you could align The Boy with other “possessed doll as main character” films such as Child’s Play or Annabelle. Unlike Chucky and Annabelle, though, Brahms (the titular character in The Boy) isn’t made to look creepy. At the opposite end of the spectrum, I think of “Amelia,” a tale in Karen Black’s Trilogy of Terror (1975). The possessed doll in “Amelia” is so over-the-top in its vicious appearance, it safely clears the level of “trying too hard” and goes straight to campy gore. It’s one of my favorites. Brahms in The Boy is not a possessed doll-turned-slasher. Brahms is a normal-looking porcelain doll who sits calmly and does basically nothing. Brahms resembles the eight-year-old male child shown in a painting hanging above the stairs in the darkly atmospheric English country manse that provides the setting for the movie. If the Brahms doll is animate, it’s animate by suggestion only. We do not see it move. It is quiet. It doesn’t go tearing around the house with an upraised dagger. It doesn’t go ripping out people’s tongues. It’s this element of absence that spooks me more than the obvious, albeit entertaining, antics of the possessed dolls in other movies. 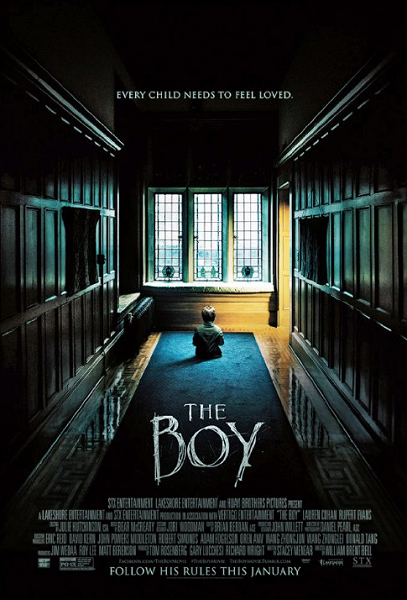 The Boy features its share of horror movie tropes such as jump-scares and phones that suddenly don’t work and terrifying scenes that turn out to be nightmares, but these tropes are used judiciously and kept to a minimum so the story can evolve of its own accord. It’s a rare horror movie that doesn’t depend solely on cheap tricks to get reactions. The Boy impressed us with its fresh take on the possessed-doll horror theme. 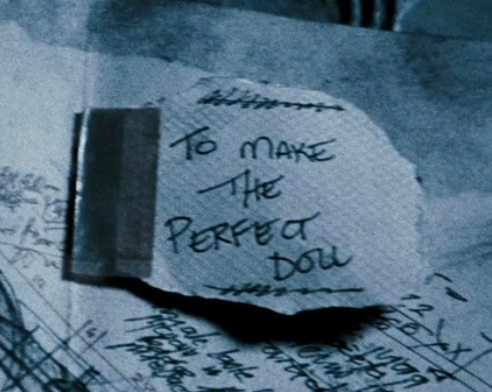 I don’t know what else I could say without spoiling the film, so I’ll stop here. I do recommend this film if you’re a fan of the horror genre, or if you’re just curious. Oh, and by the way… the clown in Dead Silence is, to date, my favorite of all the scary movie clowns, and that includes the one in Poltergeist. To me, it’s the scariest. Scarier, even, than the one in Saw. ← Silent Kiap: Tae Kwan Do techniques (garage gym workout)!